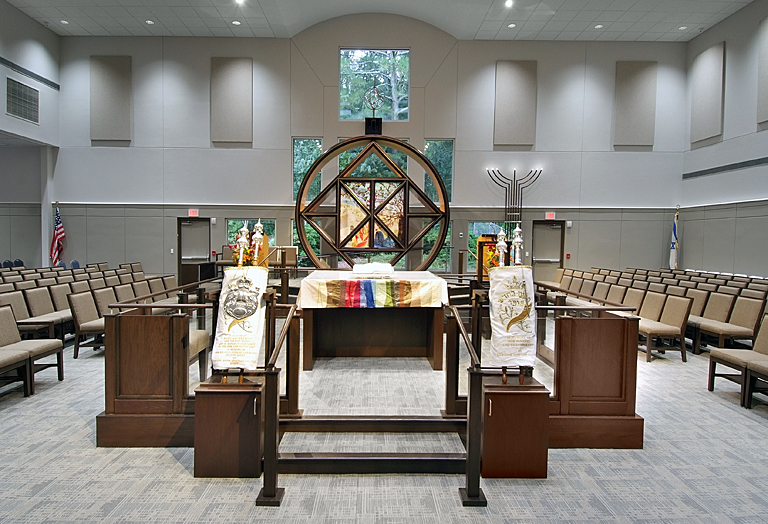 The overhaul at Congregation B’nai Torah has upgraded the sanctuary, including chairs in place of pews, a recentered bimah and a computerized yahrzeit board. The Atlanta Jewish Times in May 2014 outlined Congregation B’nai Torah’s plans to renovate its facilities and provide for future growth. It’s time for an update. The administrative wing of the Sandy Springs synagogue is blocked off for the construction work, which featured plumbing work at the end of May, and the education wing was recently demolished. The term “renovate” is an understatement. The physical structure and the interior are being dramatically changed as the synagogue plans for growth the next 20 years. B’nai Torah moved to the current location in the spring of 1985 after holding services in schools and churches for four years. In 1982, several members purchased a parcel of Sandy Springs land that wound up being sold for a significant profit. Those proceeds were applied toward the construction of the current building. The social hall was doubled in size with movable partitions installed and room for seven extra classrooms with new bathrooms nearby. 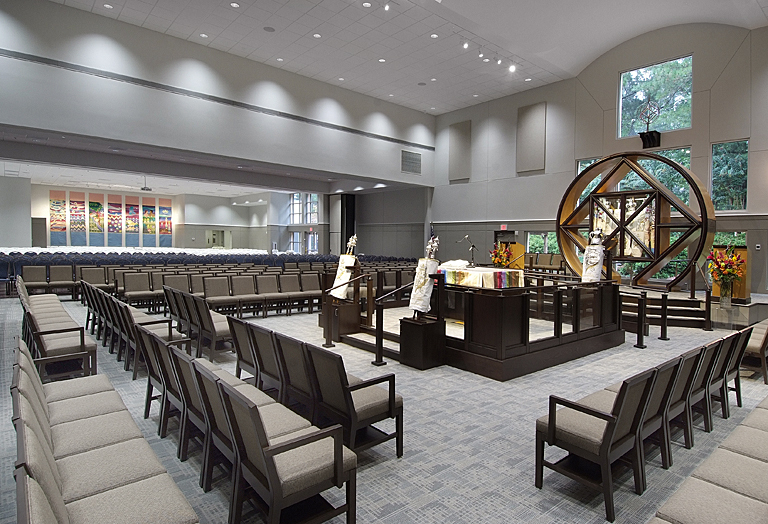 In the sanctuary, the pews were replaced with individual seating. The bimah was recentered. Floors, walls and ceilings were upgraded, and a computerized yahrzeit board was added. 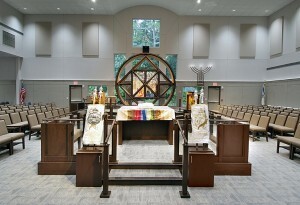 The chapel beit midrash was doubled in size with new seating and a new ark to serve as a facility for prayer and study. For the common areas, a new roof, security and telephone systems, and high-energy windows were installed, and the lighting and heating, ventilation and air-conditioning systems were improved. Preschool — Renovate, upgrade and expand to increase the capacity from 70 to 100 children. Rabbinical and administrative staff offices — Double the size because the current facilities were designed for a congregation with 400 families, but membership is now 700 families. Education wing — Install an enhanced security system, modernize the bathrooms, and increase the number of usable classrooms from eight to 12. Parking lot — Repave the lot, enhance the security lighting and make access easier for people with disabilities. B’nai Torah has postponed plans to redesign the kitchen to serve larger functions and ease food preparation. An undertaking of this magnitude represents a great deal of hope and confidence for the future. Without hope, without confidence in the future, without a sense of community and commitment, we would lead shallow lives. AJT contributor Al Shams is a Sandy Springs resident and member of Congregation B’nai Torah.